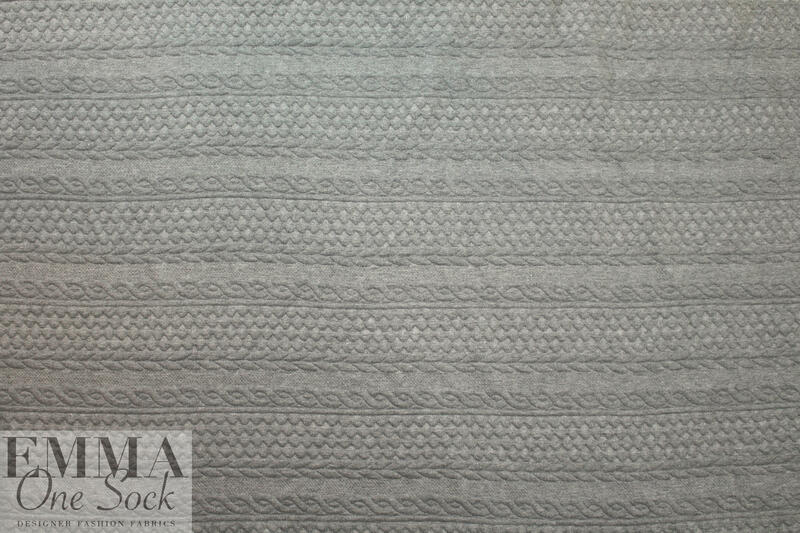 This fabulous yarn-dyed 3-ply matelasse' knit has a quilted cable stitch pattern with a 5" repeat. 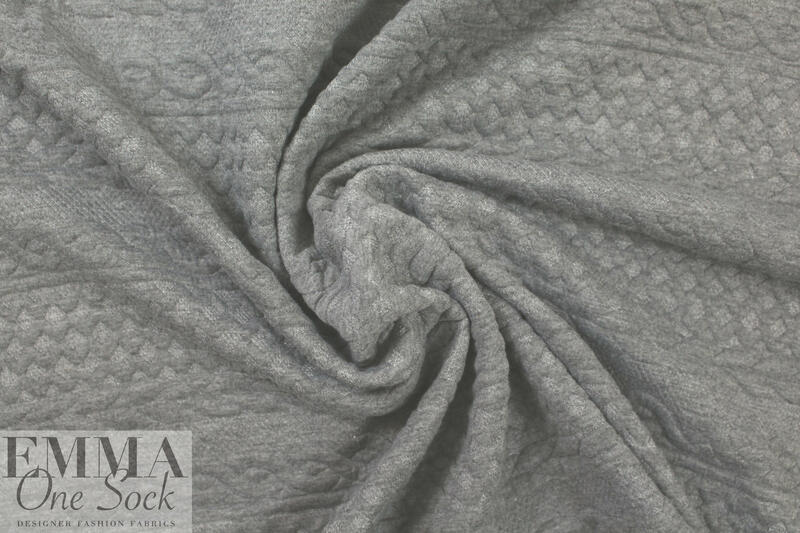 It is textured, supple and soft, and the color is a softly heathered medium gray (PANTONE 16-0000). 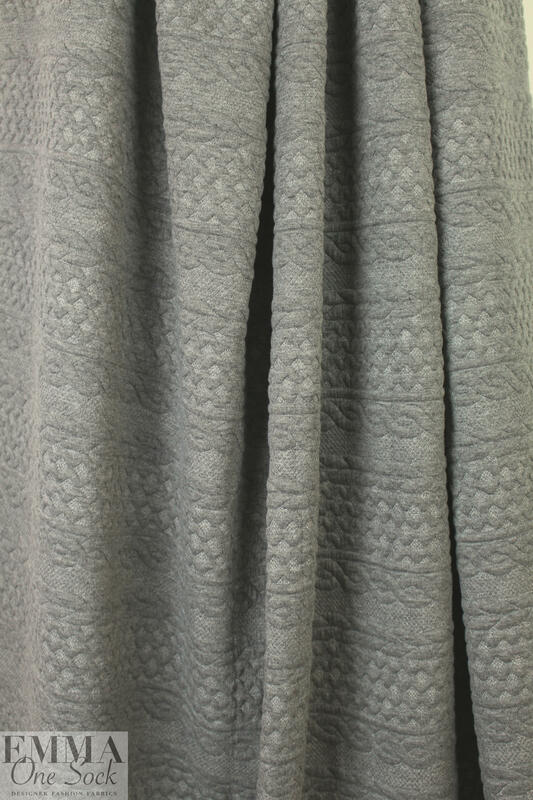 The quilted texture appears on the face, while the back is a flat weave in a soft white. 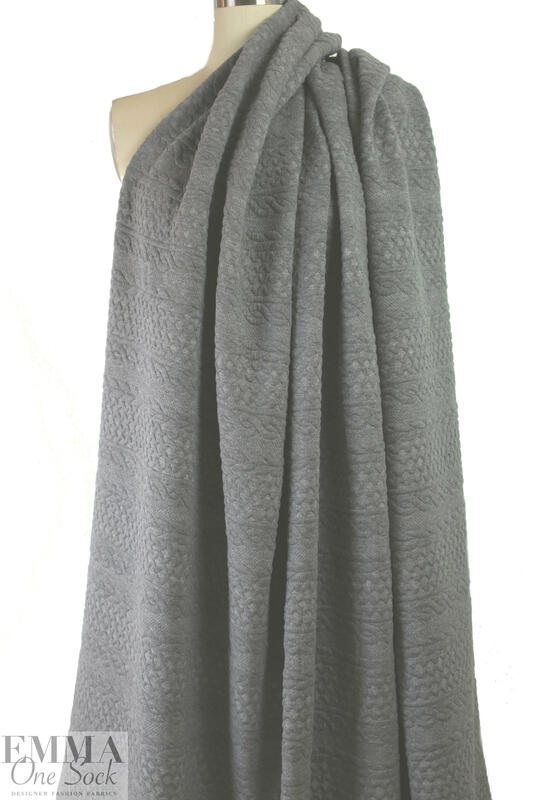 It is medium weight and opaque with a soft drape and about 30% widthwise stretch. 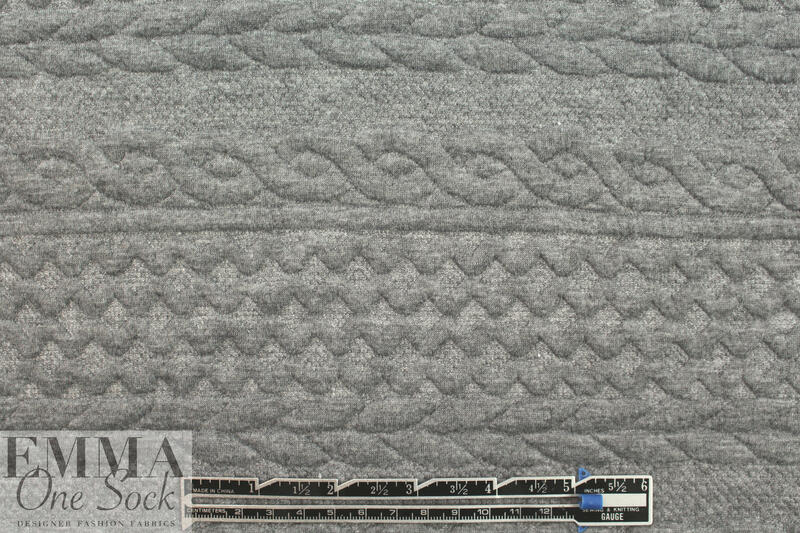 Such a versatile fabric that is perfect for an upscale hoodie, a cardigan, pullover, tunic, sweater dress or skirt, jacket, etc. Hand wash, inside out, hang to dry (please test first), or dry clean.